I'm interested in the V6II and the use of HSS and the Fujifilm XT1. Will I be able to control the flash power from the V6II when the camera is above its max sync speed? For instance, will I be able to adjust the flash power from the V6II when the camera's setting are at f1.2, 1/2000 at ISO 100? Sure you can. The V6II HSS works for Fujifilm XT-1 across with HSS flashes of different brand, such as Canon, Nikon, Olympus and Cactus RF60. 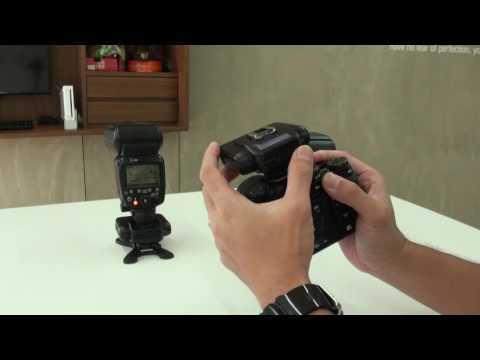 In addition, you may find useful in this video about how to set up Forced HSS for Fujifilm X-T1 with Cactus V6II, using Canon 600EX-RT as off camera flash. It does help a bit. If it is in Forced HSS - does this mean that it's set at only one power? I want to potentially use this for outdoor portraits where I can control the power of the flash for different looks. With Forced HSS enabled, you can use the V6 II to control the power of off camera flash. Since the Fujifilm doesn't have native HSS support, we will have to enable it manually. That's what the Forced HSS for. Thanks Ray - I think I understand now. Ray please can you confirm. I cannot control power output of my off camera flashes from your comment above it appears that in HSS I can. I am using Fuji X-T1 and Canon flashes. Hi @Pigy, for your Canon flashes, remember to first switch on the flash, set it to TTL mode, then power on the V6 II to RX mode. This way the V6 II will be able to auto-detect the flash system and applies an AUTO flash profile. If however if you manually select the flash system (as Canon), then you may not need to do that. Let us know if that helps. Thanks! Antonio thanks I have done both ways. Strange but I am sure that it was working last time I used them but then for another shoot they just didn't seem to work. I think I am just going to factory reset and try starting again. may I take this thread to ask if anyone has experience with HSS on Fuji X-T1, Cactus V6 II and the Godox Witstro AD600BM? Would so much like to buy this strobe - but would be nice to be sure in advance if it works! The answer is yes. The key is switching on HSS on the AD600. AD600BM = Manual Only version with Bowen Mount. So, I highly recommended putting Godox XT32C trigger on top of Cactus V6II's hotshoe. It will work flawlessly. thank you very much! You are member of the cactus team, am I right? Great - and thanks again for your help!!!! What do I need to get it to work with my X-T1. Two Cactus V6 II of course - I have read that I need a cable to connect the AD600 to the Cactus V6 II. Can you confirm this? And if so: What cable do I need? And: Would you confirm what dfallsfilm said? I mean that I need a Godox trigger on top of the V6 II. I can hardly believe this. @dfallsfilm: I know that BM means Bowens + Manual. And this is ok for me! Thank you very much again, Antonio! But on the MANUAL version of this strobe, did Godox include an option to activate HSS? If not then your suggestion of using Godox may be the only workaround. Hi @rockie. Yes, I am the brand manager at Cactus. Welcome to the discussion forum! ...Can you confirm this? And if so: What cable do I need? ...And: Would you confirm what dfallsfilm said? I mean that I need a Godox trigger on top of the V6 II. I can hardly believe this. We cannot as we don't have a BM version. Neither do we believe this! LOL. As the V6 II was never designed to function like this, but that's what people improvised and it works. ...: I know that BM means Bowens + Manual. And this is ok for me! It's only OK if you can manually turn on HSS on the AD600. If not, then you will need to take @dfallsfilm's advise. Ok, you said you do not have the manual version of the strobe for testing the functionality. But is there a TTL capable version which works with the fuji X-T1 and do you have it for testing with Fuji X System? If there is a TTL version which works with my X-T1, I do not have a problem buying this one instead of the manual version! @rockie667, our AD600 is the Canon/Nikon TTL version and HSS works. Simply plug a V6 II (RX) to AD600 via sync cord, and another V6 II (TX) on camera hot shoe. just a short note and a question! I finally bought the AD600BM and it works like a charm with the Fuji X-T1!!! Only one thing: Am I too stupid or isn't there a way to change the power of the flash remotely via the V6II? Thanks for your great products, guys!!! Yes, there's no remote power control when you use a sync cord. FYI the V6 / V6 II is able to control speedlights via hot shoe contact pins, whereas a sync cord only acts as an on-off switch. I guess I need to show more videos lol. I recently got another Cactus V6II and it does indeed works like I confirmed about using XT32C. I need to show another workaround I discovered. I'm sure someone already tried but might not mention it. Stay tuned!! Thanks for the video tips @dfallsfilm! Hopefully one day you don't have to fiddle with other triggers for bigger power.